Ever hear two people arguing and then someone dismisses their differences like this: “Well, that’s just semantics”? What the person means by that is the difference boils down to “just” a difference in the meaning of the words. In other words, the meaning of a word isn’t all that important. For serious SEO professionals (and marketers), the specific shades of meaning of a word can make a world of difference. That’s why modern search engine optimization has gone beyond basic keyword research into synonym creation, semantic search optimization, and further into semantic themes. It might sound a bit complicated, but it isn’t really. 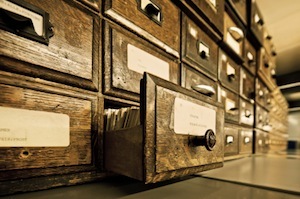 So let’s explore — what does semantic keyword research mean for your online marketing efforts? Here’s a short guide to help you create content that attracts links, builds page authority, and ultimately rises in the search rankings by using semantic-themed keyword research. What does the word semantics mean? Semantics is about how somebody or something interprets a particular word. From a search perspective, users have a very clear goal in mind when they search using a specific word. Imagine someone searched using the word “lemon.” Do they mean the fruit? The tree? A car? The color? Hopefully, they’ll expand their search query to something like “How to avoid buying a lemon.” Even in that case, it’s not absolutely clear if they mean the fruit, tree or car. We’ve eliminated the color, but that’s it. This is where semantic search comes in. Search engines have developed complex algorithms that allow them to understand that the best way to interpret this term is “how to avoid buying a lemon car” … in other words, a car that’s defective or of poor quality. That’s something most 6th graders can understand, which is the highest level of intelligence for search engines, and you should understand it that way, too. The work of effective semantic keyword research begins with defining your core term/s. This is basic SEO stuff, but let’s not breeze over it — we want to build a solid foundation for the following two levels. Notice how closely the keyword phrases are tied to our intended meaning? This means that Google recognizes the typical meaning of the phrase. There isn’t much deviation — no one is trying to avoid buying the yellow citrus fruit when they type that phrase in. As you build this semantic theme, your next step is into the circle outside of your core terms. These are your supporting keywords, the ones you sprinkle into your content, meta sets, and headers. Do you see the feeling you are trying to create with these supporting terms? You’re developing a piece of content that not only explains what can happen when you buy a car from a used dealer, but also some related topics, like how it feels when the car breaks down, and a list of things to look for when buying. You are being instructive and practical. And the content naturally addresses the problem in its entirety — you’re not glossing over the topic. Now it’s time to step into the outermost circle of our keyword research, with keyword phrases that emphasize issues not directly related to the search. But because we are trying to predict the search, we need to think about these things. Don’t forget that the search engine is trying to do the same thing. For example, why is the user typing in “avoid buying a lemon”? The most obvious answer is they are a buyer and they are thinking about buying from a used car dealer or someone who is selling a car personally. Of course, you can create two pieces of content that address both of those possibilities. But which one will the search engines deliver to the user on the SERPs (search engine results pages)? It’s hard to know, but it’s probably going to be the most comprehensive, most authoritative piece … even if your user doesn’t need all the information. That means you need to write comprehensive content … which is where the “stemming” keywords come in. These keywords are building a larger picture behind “avoid buying a lemon.” They’re getting to the real question the searcher is trying to answer. At stake here is what the user can expect his or her legal rights are, and actions they can take if they do buy a lemon and it dies. Notice that you haven’t written any content at this point … you’ve just built three buckets of keywords. Keep in mind: the content within each section will have to vary to avoid duplicate content issues, and to work well for the human readers who are always your primary focus. You will receive greater relevance weight and authority when you define terms absolutely, the way a Wikipedia or Dictionary.com does. In addition, this research will be useful when it comes to building links to the site. When will the authority and links come? It is very difficult to predict for certain whether a page will become authoritative on a topic, and attract high-quality links. But, like forecasting weather, you can study the elements behind successful pages. And unlike the weather, you can apply those elements to your own work and improve your chances for a good ranking. Here’s what we know: great keyword research alone won’t do the trick. It’s a great start — and can help you build content architecture that leads to authoritative pages — but it’s not a silver bullet. Of course what’s out of your control is other people’s reaction. Will they view it as authoritative? Will they find your writing compelling? Will they link to it? You create the best-possible content to try to influence those factors, but ultimately they lie outside your hands. Follow the advice I’ve laid out here, however, and you will have a better chance of influencing reader reaction in a positive way, ultimately getting search engines to recognize your content as a relevant and significant contribution to the web. All of this sounds a bit technical. But after you’ve done your keyword prep, when you finally sit down to write, be sure you’re writing in a natural way that doesn’t smack of spam. When done properly, SEO copywriting should never sound robotic or stiff. Write for humans first, then gently tweak for optimization. Get in the habit of reading each article aloud to make sure your keywords are included in a natural, reader-friendly way, and read sites like Copyblogger for pointers on writing voice and other elements of high-quality writing. Your final step is to read your content to another person and get their reaction. If they think it sounds spammy or awkward, rewrite it. Nothing will flush your work down the drain faster than a spammy article. It pays to get it right. About the Author: Neil Patel is the co-founder of KISSmetrics and an SEO consultant. He also blogs at Quick Sprout. Neil Patel is the co-founder of KISSmetrics and an SEO consultant. He also blogs at Quick Sprout. Now this was very enlightening. I think it was the first time I have read anything on keyword research and SEO that put it in such a way that it makes lots of sense. This one I will put into practice. Thanks. I agree. This post makes more sense than everything I’ve read since I started blogging. Finally something I feel like I can use – reasonably. Wow.. Good stuff man. Never knew keyword research could go this deep. I like what you said about writing for humans, in the end, people are the ones doing the searching, not bots. This is so damn deep into SEO. I love you for sharing this much useful information, Neil. I take it the examples there are for your subheadings, right? Another thing, Neil. What’s your take on density? How many times do you usually repeat keywords, or variations of those keywords? I think you’d be better off using some tools (Scribe from Copyblogger or this tool from SEOBook work fine: http://tools.seobook.com/general/keyword-density/) than eyeballing articles for keyword density, and in my humble opinion you are better off writing naturally and checking density afterward. That’s how I prefer to use it too, write naturally. Thank you Neil. A clear and insightful post. So much to learn. And execute. Thanks Neil for such an great info. I just checked all, really having good information for everyone! Impressive stuff for sure and great guide for creating content. I found a website that tries to automate some of this, http://www.semanticpro.com . I have no personal or commercial interest in the site, but I thought it would be of interest to those who found this post valuable. Really great information. This should work really well in our niche – lawyers. We’ve always put in things like “dog bite lawyer” but should add keyword phrases such as “bitten by a dog” or “attacked by neighbor’s dog.” I plan to put this in place today! Thanks Neil. Love the last bit on writing for real people first. When I write, I write for real people. I don’t so much write for SEO anymore. Not to say I don’t target. But it’s not my main focus. And if I do I always do it in the semantic way, if that makes any sense, lol. I can honestly say that this article is my fav this week. heck in the past month. Digging deeper than most dig into SEO. Getting into the meaning of searches helps you find your audience, and as Hector says above, always write for your audience – people – first, not search engines. Search engines do not buy your stuff or join your team. People do. As usual, another excellent column chock-full of useful information just when I needed it the most. I have been practicing this type of process for quite some time in ecommerce content building. I started using “Google Sets” in the way back and “Quintura.” When telling my clients, I label them co-occurrence terms. I have seen great results with this type of “semantic’ keyword integration into website copy related to long tails. You can appropriately message them neatly into headlines and other areas. 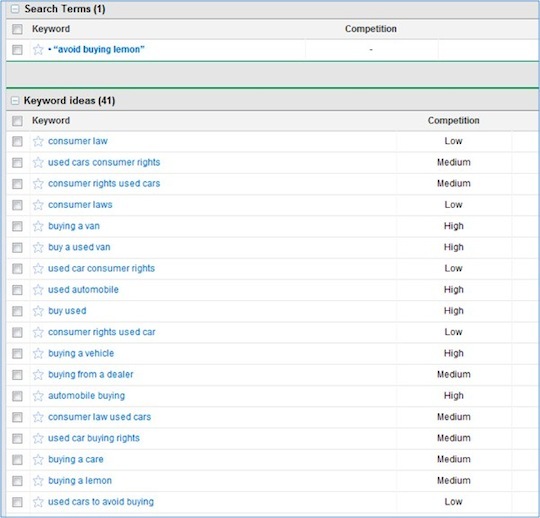 I like the fact that not only did you show readers how to do keyword research, you also showed them how to use those keywords to easily write copy. It’s cool that you emphasized that writing for keywords is not enough. You need to always write with the reader in mind. This was the best CopyBlogger in a long time. Thanks. Sigh. Another great article. Sigh. It means I have to rethink the entire SEO thing once again. And dive into my left brain again. Do you happen to have a version of this article for the right brainers out there – us creative types that cringe when even looking at the initials SEO? Creative right-brains are often really good at the hard part of SEO — creating interesting content that people want to read, share, and link to. Fantastic, detail-rich post! This couldn’t have come at a more opportune time. Thanks! Great article: core, supporting, and stemming. IMMEDIATELY putting that into practice. On another note, I find it ironic that after the 14 billion years to develop language, we’d bail it on by coining a phrase like “let’s not argue semantics”. Humans are hilarious. Fantastic article with some great tips although I do have to add that keyword research is important but even if you can’t get it absolutely perfect it’s ok as over time you tend to naturally rank for numerous long tail keywords which will bring loads of traffic. Long tail traffic is fine, but targeted search traffic converts. We’re not in this for raw traffic, even with an advertising model. It’s got to convert. Wow. This is a very systematic approach. Nice to see a simple approach so you’re not just shooting from the hip or awkwardly including keywords. Very practical approach to writing for the web. Thanks. I was going to write a long boring comment that no one would probably read so I decided to write an amazing mind altering response on my new blog respectively disagreeing with Neil. This is a really great article. It never occurred to me that Google would understand implied meanings of words – though I don’t know why. I really like how you broke down your keywords into sub-headings which can be used for blog posts – I’ve actually done this before by putting my site URL into the Google Keywords Tool and seeing what people were mostly searching for when they found my blog. This was one of the most intelligent articles I’ve read in a long time that talks about SEO in terms of content creation and the processes involved. Even the images you use should be related to the core terms. Google is a smart puppy but even more intriguing is it psychologically reaches the reader/searcher even better with the right imagery. Thanks for these reminders today! Great article I love your practical approach to what can be a challenging problem of praying you have used the right keywords to reach your target audience. Will be re-visiting my website and using this in future web creations. Thank you for taking the time to write this. I have recently been researching keyword optimization in my business and found this to be a tremendous resource. I clipped it to Evernote so that I can refer to it on my kindle fire whenever needed. Excellent article, I am going to go back and check my keyword densities and increase them with these core words and synonyms. I have avoided high density keywords because of the readability issue, but now I can increase my keywords so that it won’t be difficult for the reader to hear the same phrase over and over again. What a helpful post. It’s such a complex subject but you’ve broken it down very well. worth evaluating every once in a while. Excellent post it took me a while to fully understand certain thing but a fabulous read… thanks for sharing…web 3.0 semantic revelation sounds good. BOOKMARKED! This kind of detailed advice on keywords is hard to find. I will certainly be refering back to this post when writing for my blog. Just shared it to my guy who worked mainly play with the KEYWORD jobs. Its pretty interesting post and certainly worth sharing. Somethings are though complex to understand but I really liked the last point. 🙂 “WRITE FOR HUMANS” Just like the SAMSUNG Mobiles are made for Humans. Not only are the semantics important but one can get a huge leg up when we properly define the semantic HIERARCHY. In the visual presentation this is determined by position and size. The closer to the beginning of the document and the larger the text, the more important it appears. This is also true in the code structure. In the above example of using “lemon” to describe a sub standard purchase, the primary keyword phrase would be “Buying a used car” with the sub heading “Watching for lemons”. To properly inform the search engine that “Buying a used car” is the primary term, the markup would define this as a and “Watching for lemons” a . This would tell the search engine that lemons refer to buying a car. To put this in perspective, “Things to inspect on a used car” would also be in if used under the , or as a if used as a sub heading of the .